Spark researched, cleared, produced and distributed two CDs on behalf of Chevrolet Europe and its worldwide affiliates. Spark’s ability to source music from across all labels won them the pitch for this project. 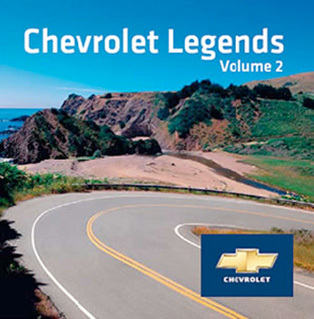 The Chevrolet Legends Vol. 1 + 2 CDs were exclusive to the pan-European ‘Chevrolet Dream Garage’ promotion campaign and not available to buy in music stores. Everyone participating in the ‘Chevrolet Dream Garage’ campaign not only had the chance to win the 1st prize of three Chevrolet cars, but also received a copy of the limited edition of Chevrolet Legends. The CD concept was customized to Chevrolet: all the lyrics of the songs contain the key words Chevrolet, Chevy, Camaro or Corvette and were carefully selected according to strong guidelines on repertoire, genre and content. Additionally on Volume 2, Chevrolet Europe ran a newcomer artist talent contest on the independent site musicnation.com, offering new artists priceless exposure in Europe with the chance to be included on the CD alongside some of music’s biggest names. Over the period of a month, newcomers were asked to compose a song with the key word “Chevrolet” in the lyrics and to post it on the competition website. From over 700 submissions, Jaymie Gerard and David Lane were chosen as winners. 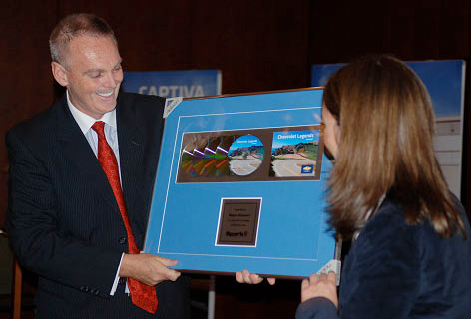 Wayne Brannon, Executive Director Chevrolet Europe, was very pleased to receive an award for shipment in excess of 500,000 units of Volume 1.